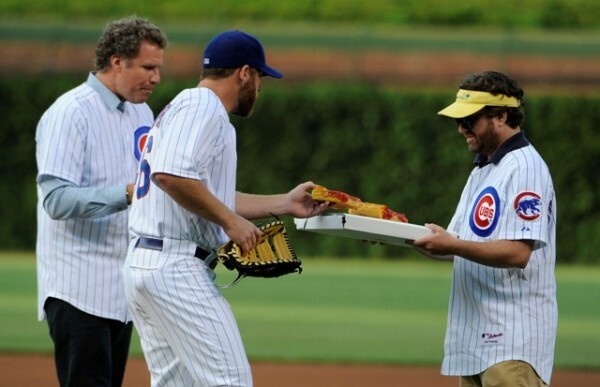 Will Ferrell and Zach Galifianakis threw out the first pitch and introduced the Chicago Cubs starting lineup yesterday at Wrigley field. 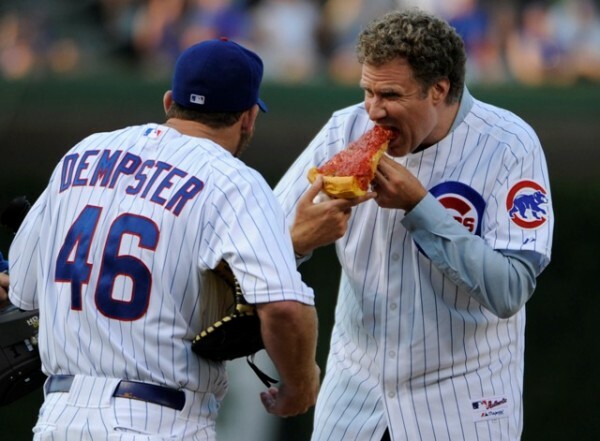 Cubs pitcher Ryan Dempster joined them on the field to eat some deep dish pizza. 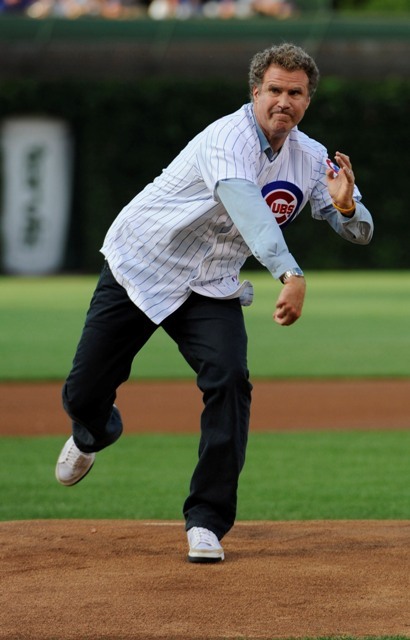 Their new movie The Campaign opens on August 10th.